Hi world wide followers of DCC. I know, this blogs addictive! The club had its Annual Dinner on 12th May. (A few years back that would have been it till September. Many camera clubs close over summer….we don’t. And the bigger the numbers the more we can do.) The meal went smoother than the ‘Mallard’ doing the world record for a steam locomotive. The staff at the Urmston served up a wide range of very good food and delivered it to table superbly. Thank you Urmston Pub. Then last Wednesday evening a good turn out was had for an evening photo-walk around Salford Quays, with the theme of shooting in B&W. Followed with hardly a chance to catch our breath with a Sunday walk around the Lancashire Mining Museum, Astley Green. 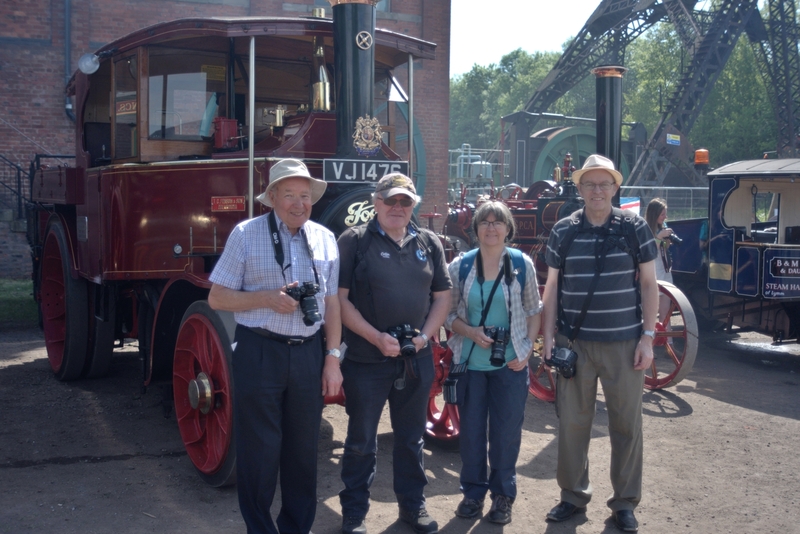 This visit also doubled with a Steam Rally on the site too, on a day of fantastic weather. In the afternoon the groups moved to the Pennington Flash Country Park for the second part of our day out. Thank you Mike and Val for planning the event and the weather!! Salford Quays B&W evening courtesy Mike and Allison Chorlton. 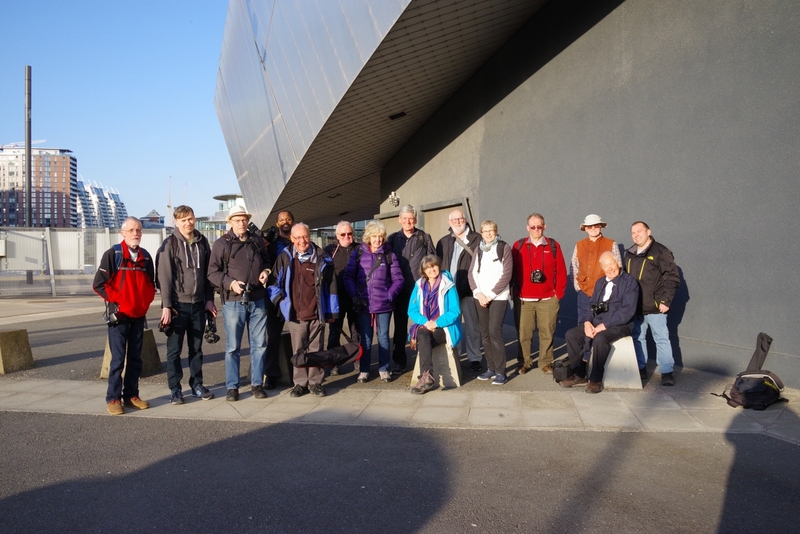 Some of the group at the start of our Sunday day-out. Courtesy John Axon.